Department of Genetic Medicine are leaders in their respective fields. View ongoing clinical trials offered by the Weill Cornell Department of Genetic Medicine. Explore ongoing pulmonary disease, gene therapy, population genetics, computational biology and transcriptional control research. Crystal Clinic patients are treated with unique care plans tailored to their genetic history and specific pulmonary conditions. The Belfer Gene Therapy Core is a cutting-edge genetic medicine research facility that provides contract services for academic and corporate groups. 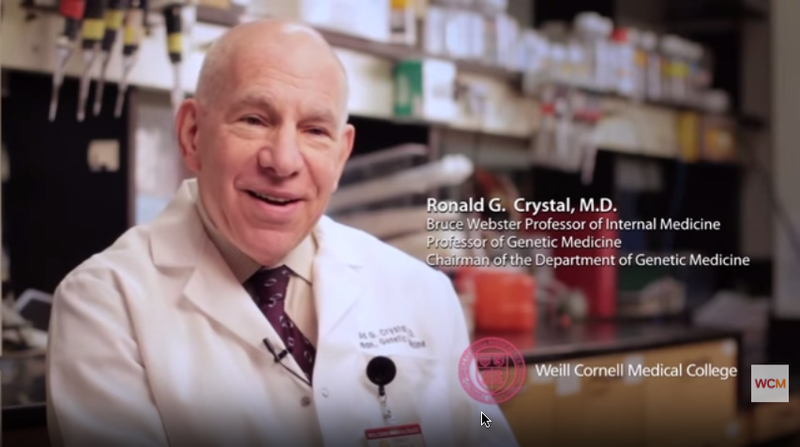 View news and updates from the Weill Cornell Department of Genetic Medicine. Explore our ongoing pulmonary disease, gene therapy, population genetics and transcriptional control research.